Print pictures directly from your phone and watch them burst into life before your very eyes. Thanks to camera phones we’re now taking more pictures than ever, which is great, but after taking those images, most will live on your camera roll or in the cloud until they’re eventually accidentally deleted. Looking to change that is Prynt, a new accessory which turns your smartphone into an instant camera. 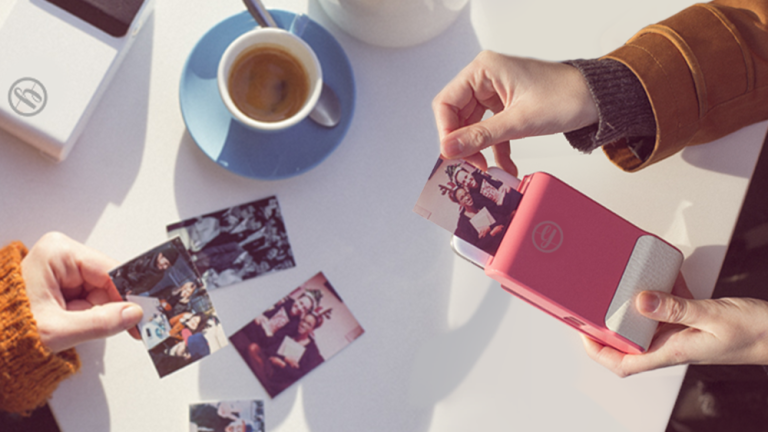 Prynt is a smartphone case which contains a zinc printer, allowing you to print out pictures directly from your phone. The fun doesn't stop there, however, once the picture has been printed it becomes a unique QR code (of sorts), and when scanned from the Prynt app will play a short video of what happened before the image was taken. All you need to do is slot your smartphone into case and press the shutter/power button. The Prynt app will automatically open, allowing you to take pictures using your smartphone’s camera. Once you’ve got an image you’re happy with you can choose to print it out. It takes seconds to print, using zinc paper which reacts to a laser (so there’s no ink involved). While the app is taking a picture, it’s also capturing video, which is saved on Prynt’s servers. This video is played back when you scan the image in the Prynt app. This is a form of augmented reality, just like Pokemon Go, but it creates a Harry Potter-like ‘moving picture’ effect. It’s very cool. Prynt creates physical memories, just like Polaroids of yore, but uses the latest technology to add a layer of digital enhancement on top of it. Unlike Instagram, where you take a picture and share it to everyone, Prynt is much more personal sharing experience. We used the Prynt case for a couple of weeks and it’s a lot of fun. At parties and events everyone loves it. The image quality on the print out isn’t great, and it’s obviously too chunky to use as an everyday case (that's not the intended use). Originally Prynt was funded on Kickstarter, but now you can buy it from Urban Outfitters, ASOS or Menkind. It’s £140 for the phone case, and £19.99 for a pack of paper refills. These are the best cameras, and you can find the best mirrorless cameras here.